India successfully swept aside Kenya at the Mumbai Sports Arena to lift the Intercontinental Cup and Sunil Chhetri, who scored twice, was the undisputed hero. Kenya huffed and puffed, put countless crosses and sprinted till they ran out of gas, only to be beaten by a spirited man and his team. Playing in his 102nd international match, Chhetri’s double strike capped a brilliant tournament which saw him score eight out of India’s 11 goals and put him on par with Argentine superstar Lionel Messi with 64 strikes for the country to be the joint second highest international goal scorer among active players. This isn’t the first time for our national hero as he has previously led India to win the Nehru Cup (2007, 2009 & 2012) as well as the 2011 SAFF Championship amongst many others. However there’s more to this man & the tournament as it opened nation’s eye to a lingering issue that had been tuck behind all this while. When our national hero has to come on social media and request attendance at stadiums, the problem is much bigger than what meets the eye. 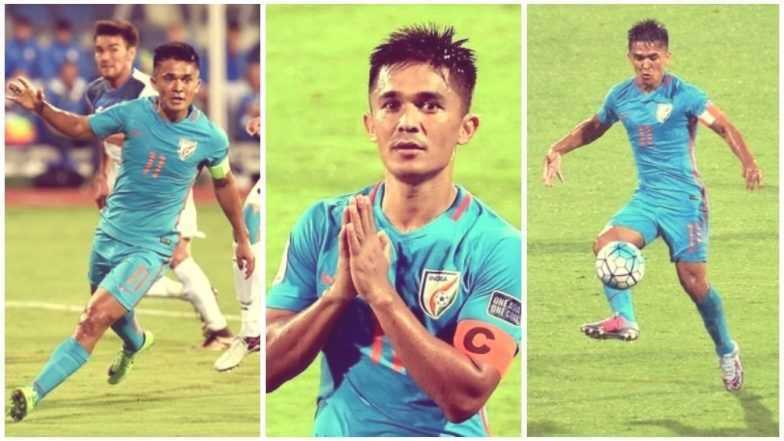 Chhetri had made a heartfelt plea to fans to go watch India football matches in the stadiums and it received an overwhelming response not just from other athletes but millions of sports enthusiasts across the nation. The soft-spoken plea seemed to have almost taken the shape of a war cry. On the day of the match, the stadium was packed to its brim and the Indian team obliged their audience by playing Kenya off the park; and captain Chhetri crowning the night with a chip that was equally memorable. The response to Chhetri’s plea, overwhelming as it was, also had shades of myopia. Those concerned about Indian football will need to revive its core to begin with. Once the country is ready, the official poster for a football tournament won’t need to carry cricketers and filmstars to promote the game and the fans will line up for tickets much before any player has to take the digital route. The Indian captain’s plea was to use this tournament to re-energise a sporting culture, and one wonders if this victory & the record will become a catalyst for taking the sport to a whole new level.